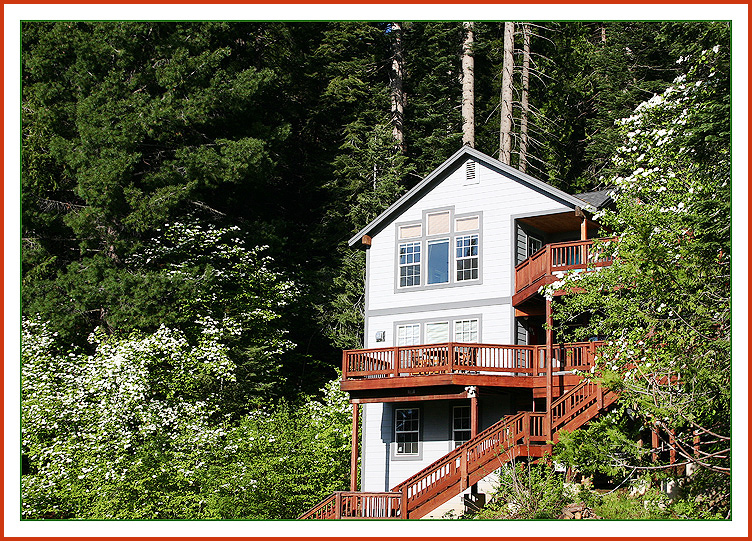 Two Vacation Rentals in Yosemite The Sunset House and Red Door Apt. A Vacation Rental House and The Red Door Apt., INSIDE Yosemite National Park! Central location, surrounded by forest, in Yosemite West! Yosemite Cabin Rental at its Best! Book direct with us for best rates guaranteed! NEW this year: WiFi ... coming soon ! WIFI expected to be available at our property by mid-summer !!! Book directly with us and save !! Central location inside the park, in the residential neighborhood of Yosemite West! when booking directly with us ! daytime and evening phone numbers, and your time zone. 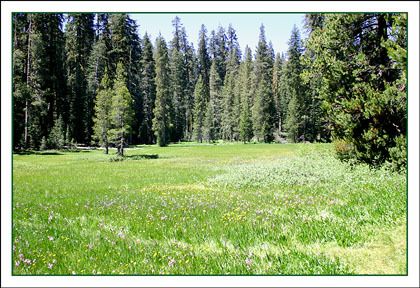 ... Yosemite accommodations, offering so much more than a hotel room !!! ... much shorter drives to all the scenic destination points. Can't Beat this Location INSIDE Yosemite National Park. WIFI should be available by mid-summer ! ... don't count on it for work or homework. 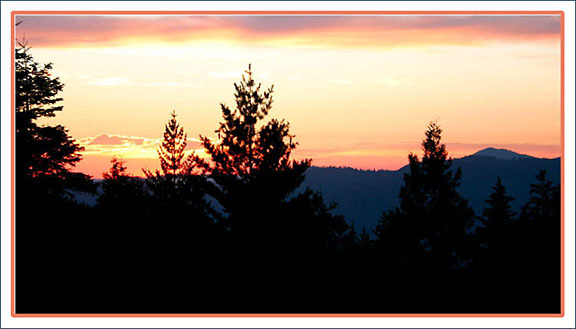 ••• CELL PHONES: In most of Yosemite, cell phones have spotty reception, if any. .... SO MUCH MORE THAN A CABIN !!! ... few cabins or houses in Yosemite are as sunny, bright, comfortable and clean as the two units in the Sunset House! Glacier Point Rd. 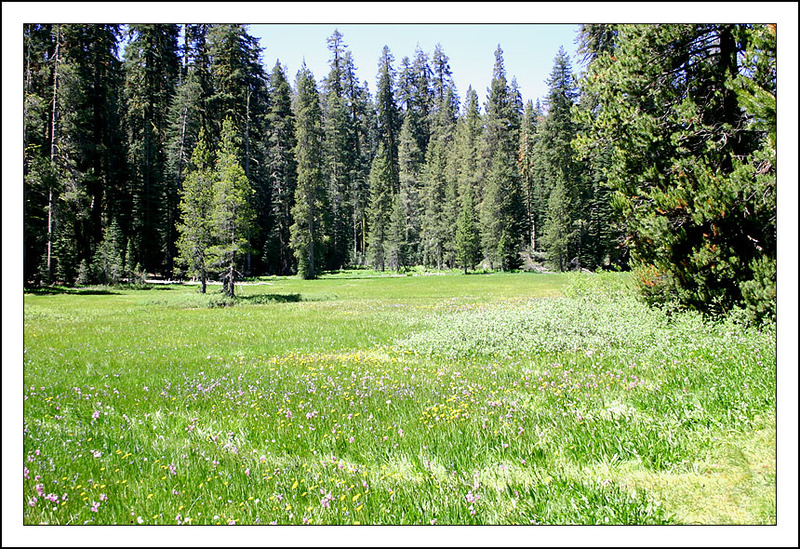 : this magic meadow is located only 10 minutes drive from the Sunset House ! ~ I just wanted to let you know how much we all enjoyed staying at your beautiful house, which is so comfortable, and feels like a nest among the trees .... by A.M. from the UK. We've been online since 2006 ! Please include a little information about yourself and your group, daytime and evening phone numbers, and your time zone. We are excited to share with you our dream getaway house, in Yosemite National Park!